King Juan Carlos and Queen Sofia have made a handful of public appearances together in recent weeks, rebutting claims that the couple plans to formally separate. 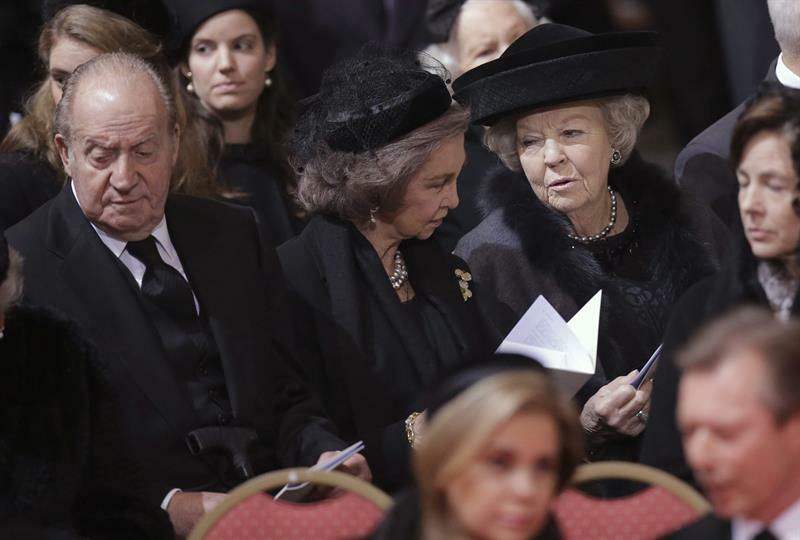 Their Majesties attended the funeral today for Spanish-born former Belgian Queen Fabiola. King Juan Carlos and Queen Sofia may not have a close relationship, but the two appear committed to preventing further controversy about the Royal Family. 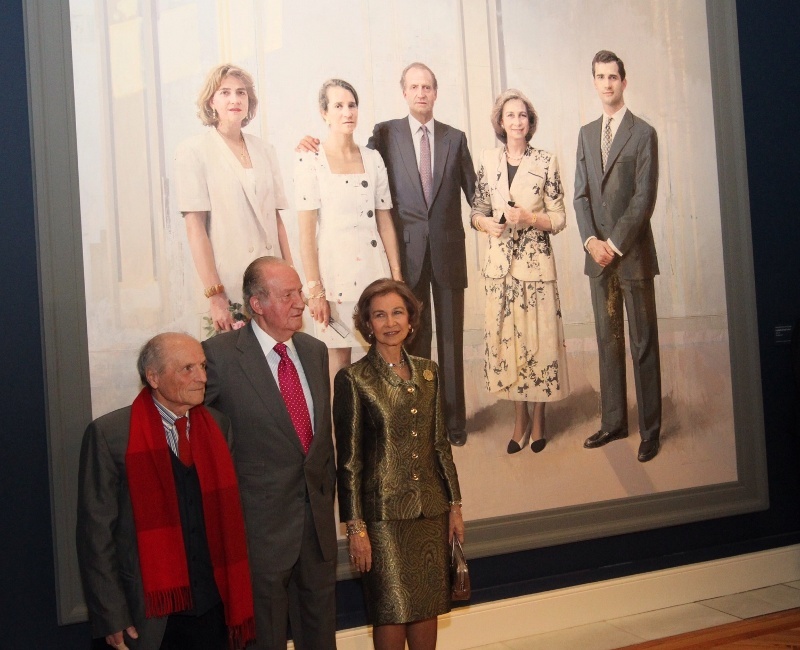 Recently the two attended the viewing at the Royal Palace in Madrid of a Royal Family portrait that has been 20 years in the making. 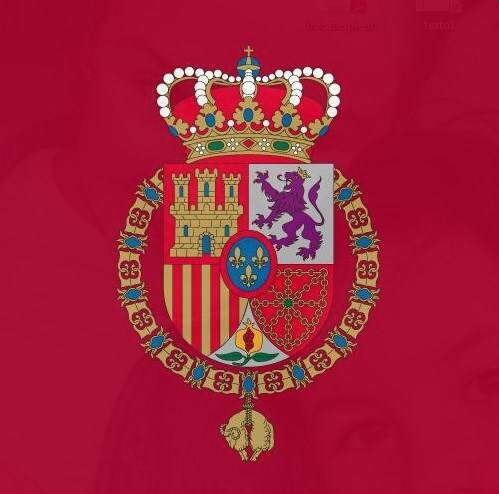 Recent public appearances show Queen Sofia’s continuing commitment to Spain following her husband’s abdication. King Felipe marked a milestone of his young reign this week by attending his first Ibero-American summit as Spanish head of state. 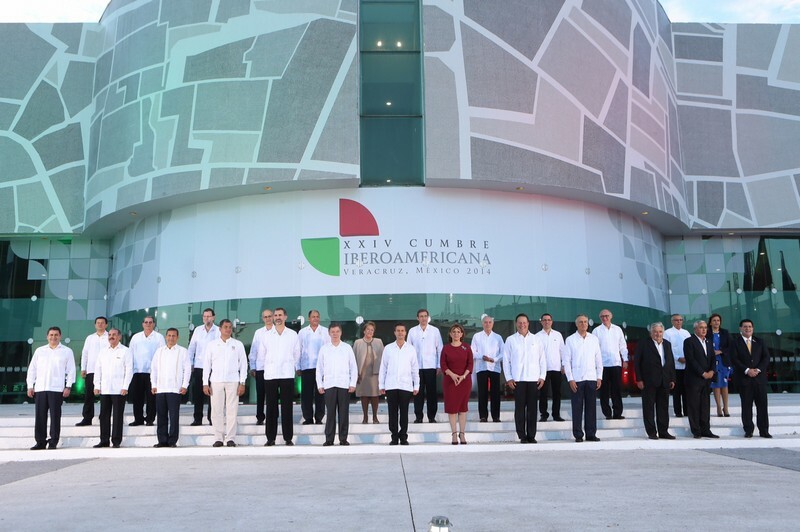 Don Felipe met with business and political leaders from around Latin America and the Iberian peninsula at the Veracruz, Mexico gathering. 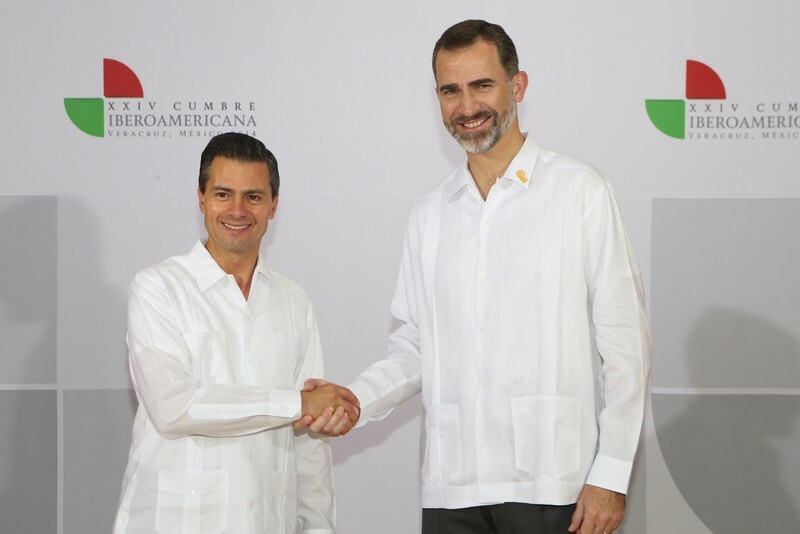 King Felipe with Mexican President Enrique Peña Nieto. The Ibero-American summit is seem as a venue for Spanish international influence, plus interactions with its former colonies. But lackluster turnout has prompted observers to recommend reforms to the summit, perhaps less frequent meetings. 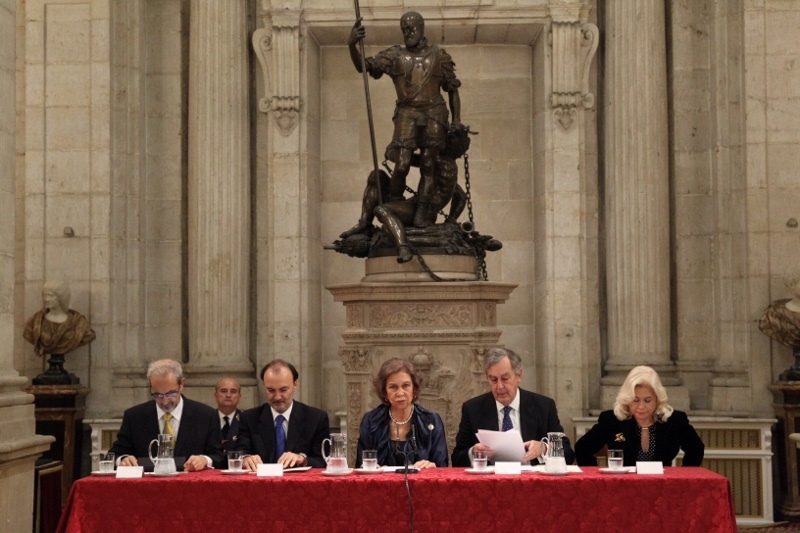 Spain has strong economic and cultural ties to Latin America, something the Spanish Crown has been working to strengthen. 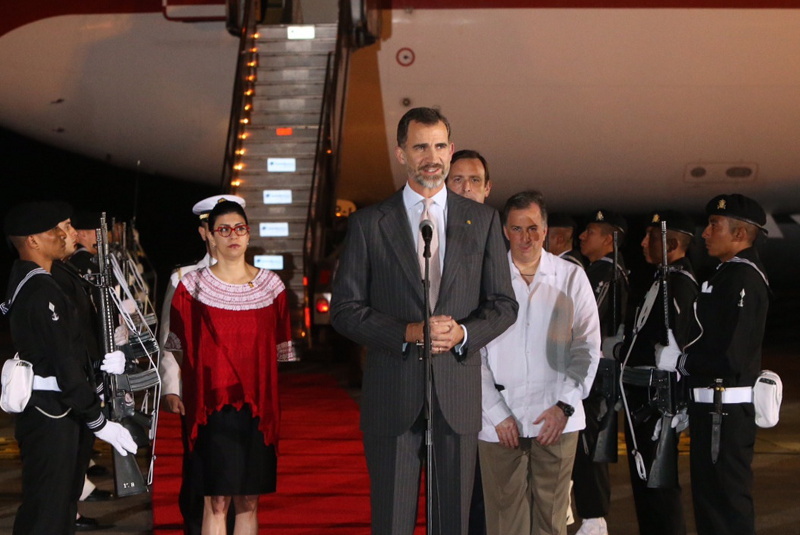 Before becoming King, Don Felipe was Spain’s official representative to presidential inaugurations in Latin America. It was a way for the former prince to become known in the region. King Felipe last week made headlines by traveling to Catalonia for the second trip to the Spanish autonomous community of his reign. 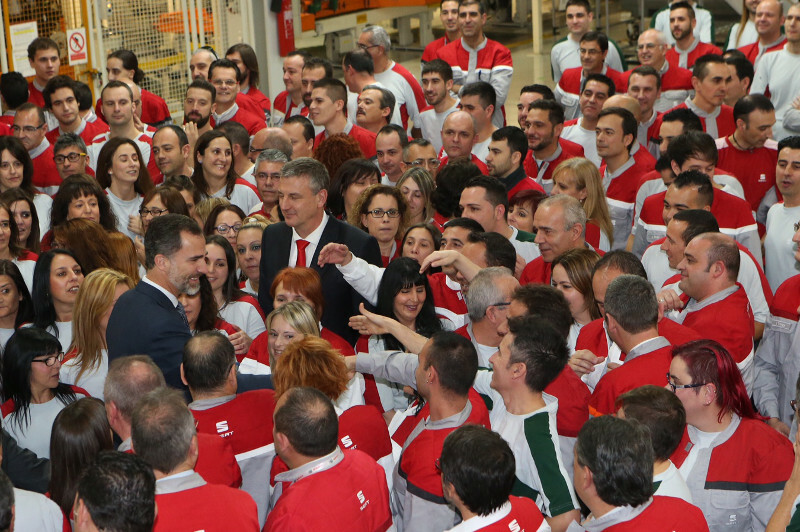 King Felipe’s visit to Spanish car company SEAT S.A.’s factory in Martorell came as the Catalan government plans ways of seceding from Spain, or at least securing a vote on the issue. 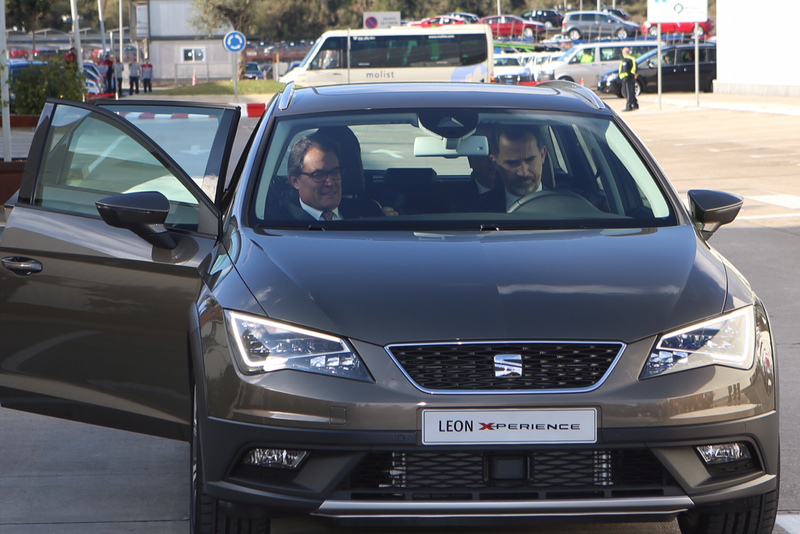 Observers saw the image of King Felipe being behind the wheel of a SEAT car with Catalan President Artur Mas as deeply symbolic. King Felipe has promised to make more trips to Catalonia. 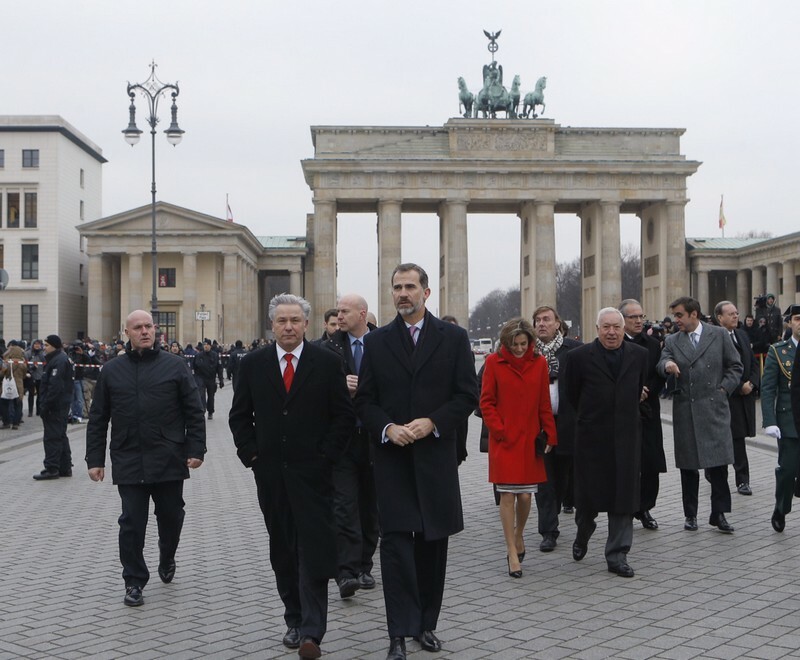 King Felipe VI stressed the need to promote economic growth this week during a two-day official visit to Germany. 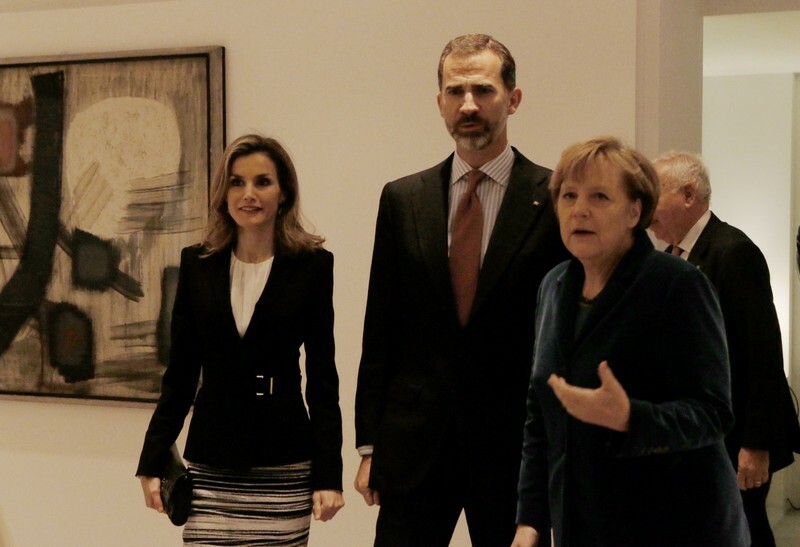 King Felipe, who met with German President Joachim Gauck and Chancellor Angela Merkel, said during remarks that economic growth was necessary for the credibility of institutions and European integration. On Tuesday King Felipe flew to North Rhine-Westphalia where he continued meeting with German leaders and visiting businesses. 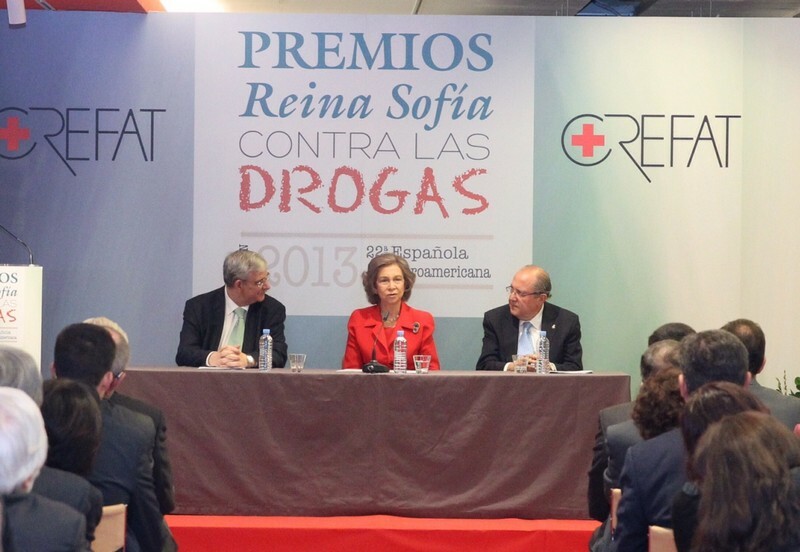 One stop included operations of Spanish automotive giant Gestamp Automoción S.L. There, King Felipe said that despite economic difficulties, efforts at promoting innovation and social dialogue were bearing fruit. The automotive sector is among the most important in the Spanish economy.